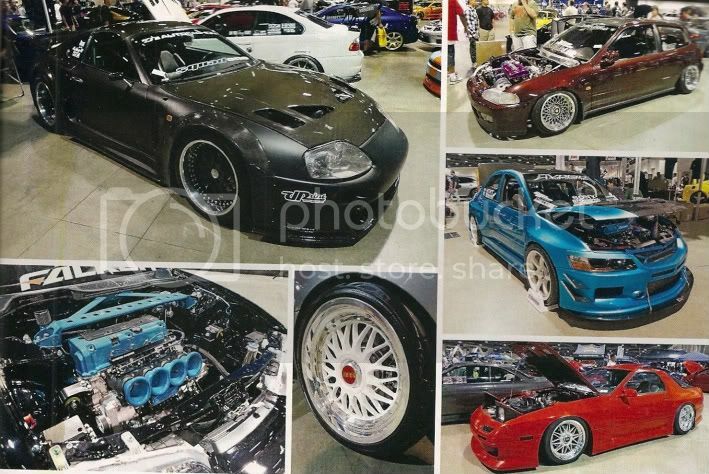 In Import Tuner February 2012 Issue, pg. 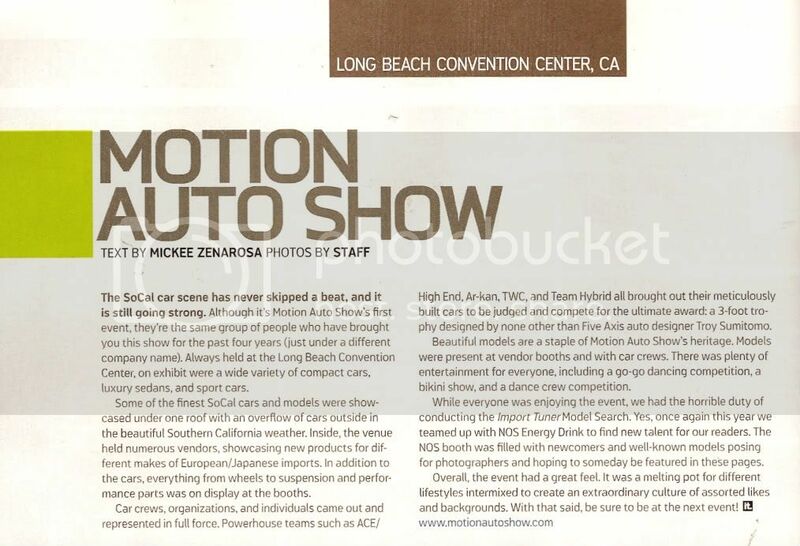 061, there is an article about Motion Auto Show, Long Beach, Ca. 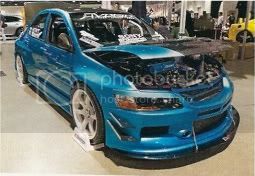 Congratulations to LV Chapter's Essex's Turbo-APR Widebody-Teal EVO IX for being in the event coverage. IT said, "Car crews, organizations, and individuals came out and represented in full force. Powerehouse teams such as ... and Team Hybrid all brought out their meticulously built cars to be judged and compete for the ultimate award: a 3-foot trophy..."
3 out of the 4 powerhouse teams IT mentioned won in the category of Best Team "Quality" overall including yours truly.